Suitable for use with Brompton Bikes. 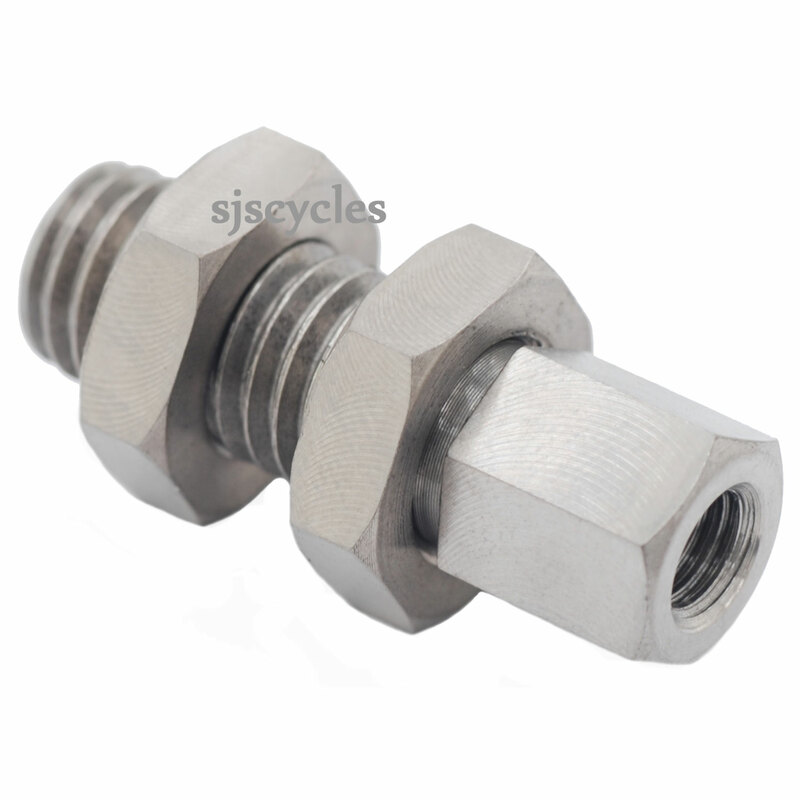 Fits the Brompton Lower Stop Disc Set (Brompton Part # 9040070 / QLSDA). Make your Brompton lighter with Ti Parts Workshop titanium components. This Stop Disc Titanium Nut & Bolt set saves approximately 7.5g over the original Brompton component. Set consists of one stop disc bolt and two thin nuts.